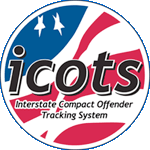 The 'Rejected Cases Requiring Action Report' provides a list of cases in which the latest status is ‘rejected’ and is still ‘open’ in ICOTS (non-historical.) There are 2 separate lists that generate from that report. Each case will need to be reviewed to determine what needs to be done. Offenders in Sending State (no Reporting Instructions were issued and no NOD/NOA sent): These are cases where a Transfer Request was sent and subsequently rejected. If the case was rejected for incompleteness and another Transfer Request is going to be sent it is important to make sure the completed Transfer Request is sent within the required 15 business days. Otherwise ensure those cases are withdrawn. Offenders in Receiving State (Reporting Instructions’s approved and NOD/NOA sent): These are cases where a Reporting Instructions were approved, the offender moved to the receiving state and is under supervision in the Receiving State, but the Transfer Request on the case was subsequently rejected. Just as noted above, if rejected for incompleteness it is important to make sure the completed Transfer Request is sent within the required 15 business days. Otherwise, if the case is rejected and the offender is returning to the sending state, reporting instructions (required as of March 1, 2016) must be requested within 7 business days of rejection. Case closure and Notice of Departure should be sent upon the offender returning to close the case and move to historical. This indicates the receiving state is no longer supervising the offender as a compact offender.